NEW YORK (WABC) -- Protests were held in New York Wednesday night over President Trump's travel and refugee ban. Hundreds of people gathered in Foley Square in Lower Manhattan and then marched to the Immigration and Customs Enforcement office. 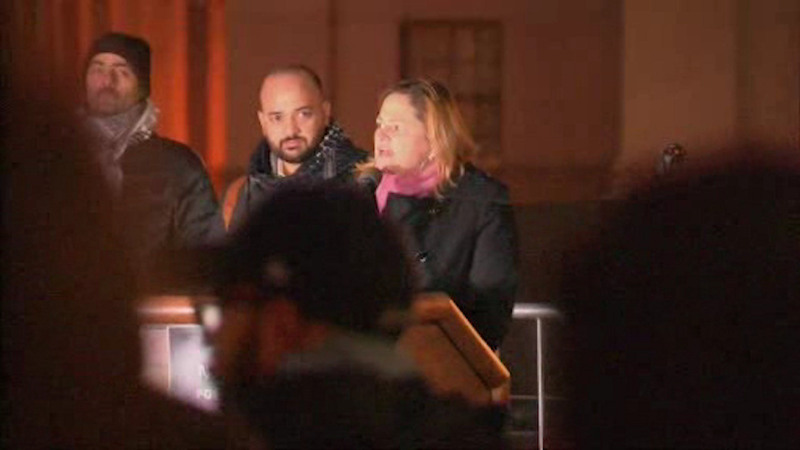 City Council Speaker Melissa Mark-Viverito was among those speaking to the crowd. Protesters were calling Trump's policies, "fascist, hateful and dividing."